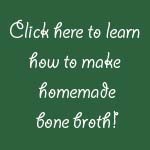 If you are unsure about the body's necessity of water and what chronic dehydration does to your health, you MUST learn about this NOW so that you can reverse the disease that you have, or prevent the disease you are destined for. If you have a hard time staying motivated to drink 8-10 glasses of water each day, these books will help you learn why it is so very important to do it EVERY day. 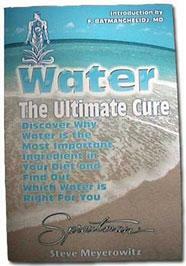 Discover why your drinking water habits may be the cause and the cure of many of your ailments. Learn the BEST WATER for your health and what kind is safe to drink and use. 172 pp. This book will show you how to protect yourself and your family from the deadly bacteria, viruses, chemicals, parasites, and even cryptosporidium that are present in over 43% of all public water supplies.106 pp. 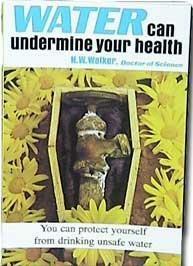 In this book, now revised and completely updated with the latest statistics on pollution and new information on fluoridation, Dr. Allen E. Banik and famed health reporter Carlson Wade set out the scope of the pollution crisis, explain the physiology of water and the criteria for healthful water, and suggest ways to assure ourselves of a supply of drinking water that will support, not undermine, our health. 140 pp. 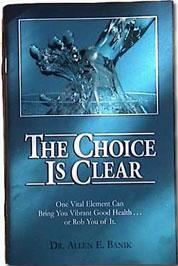 The Choice Is Clear by Allen E. Banik, O.D. 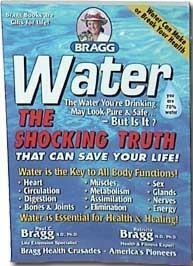 A revealing book to help you understand the relationship of water to your health and longevity.